It’s a brilliant fall day in the South Okanagan, and a black bear and two cubs are up a tree peering over a frenetic crush time at Tinhorn Creek Vineyards across the gully. The winery’s mechanical harvester—a 4.5-metre-tall giant that straddles the vines and causes the fruit to fall via gentle vibrations from oscillating brushes inside—sits at the end of a row in prime position for the eight-to-10-week-long harvest on Tinhorn’s two growing benches, which bisect the valley near Oliver. 1995: Around 30 wineries in B.C.2003BC VQA sales top $63 million; around 81 wineries in B.C. 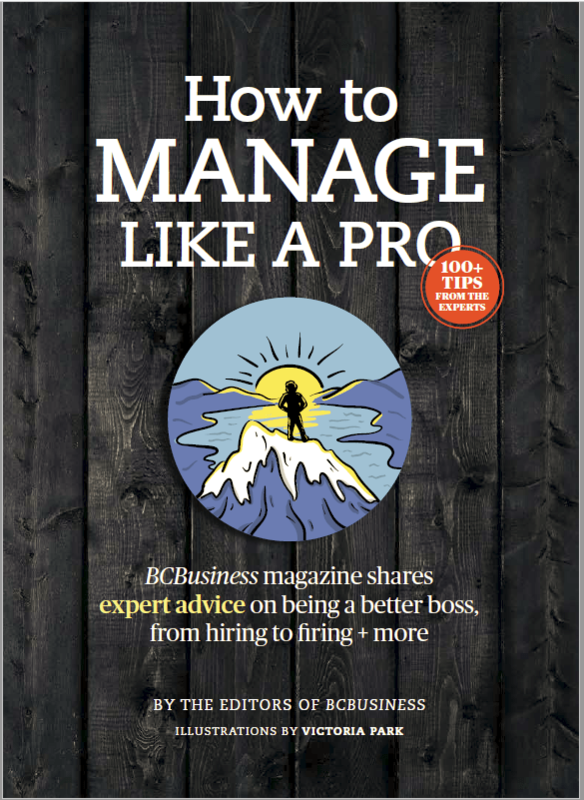 2009: BC VQA sales more than $166 million; 174 wineries in B.C. 2014BC VQA sales more than $220 million; around 230 wineries in B.C. Around four kilometres away, across Highway 97 below, the purple-tinged Black Sage Bench is plump with such grapes as cabernet franc and merlot. But it’s this east-facing upper Golden Mile Bench, with its backdrop of ochre mountains, favourable temperatures and buzz of visitors to the winery’s tasting rooms and specially created tours, that looks set to yield more than just gewürztraminer and pinot gris. Five years in the making, Golden Mile Bench is slated to become part of a sub-appellation that allows drinkers, for the first time in the province, to pinpoint the exact origins of their wine rather than the all-encompassing BCVQA (Vintners Quality Alliance) “Okanagan” label. 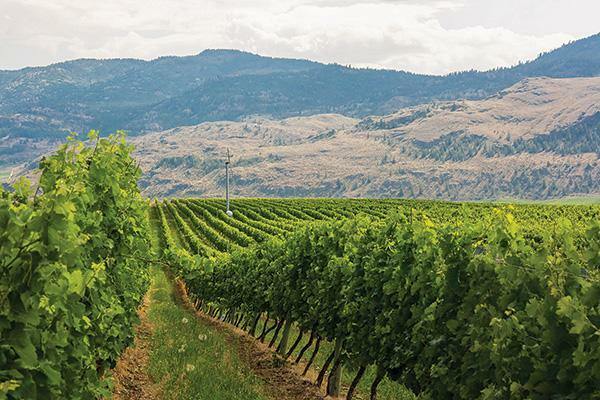 The British Columbia Wine Authority, the provincial government’s wine-quality regulator, recommended the move in October to the Ministry of Agriculture, which industry hopes will grant approval this spring. While the new label wouldn’t cover the grapes grown on Black Sage (although applications for other sub-appellations are likely to follow), Tinhorn is at the vanguard of the campaign—with neighbouring wineries such as Hester Creek and Road 13—to underscore its terroir, those environmental nuances such as the soil and growing conditions. The winery’s building on a sense of place, however, doesn’t just apply to what goes in its award-winning bottles (accolades include Switzerland’s Mondial des Pinots Gold). Celebrating two decades in the business, Tinhorn has done much heavy lifting in recent years to transform the estate into a must-swig-at stop on the burgeoning number of wine tours on the Golden Mile, which stretches from Oliver toward Osoyoos. It has created a Golden Mile Trail into the Mount Kobau range so visitors can hike the “bench that defines our terroir,” or they can sample both wine in its decorative tasting rooms and sound in its verdant amphitheatre (past performers include Blue Rodeo). Soaring over it all is Miradoro, the glass-centric, clean-lined restaurant Tinhorn opened in 2011 in partnership with Manuel Ferreira, owner of the former Le Gavroche in Vancouver. With the harvest hauling in nearly 40,000 cases from its 150 acres, Sandra believes it’s just the right level. Head into the 60,000 cases’ league, for example, and Tinhorn would be forced to produce off-site and become “a whole different winery almost,” she says. A special place that may soon have its own special sub-appellation label to prove it. When you’re in desert country, it’s worth seeking an oasis such as Watermark Beach Resort’s Wine Bar & Patio. Go for its “feast” sharing plate of braised lamb shank with an exhaustive wine list including feature house wines from the Orofino vineyard—all overlooking Osoyoos Lake (Canada’s warmest) and under chef Adair Scott’s epicurean eye. Everything flows beautifully at Liquidity Bistro (pictured)—a locavore’s haven (Oliver-farmed Arctic char, Salt Spring Island mussels) punctuating the south end of Skaha Lake. Art lovers take note, too: the place is peppered with artwork by Vancouver’s Martha Sturdy and Brent Comber. 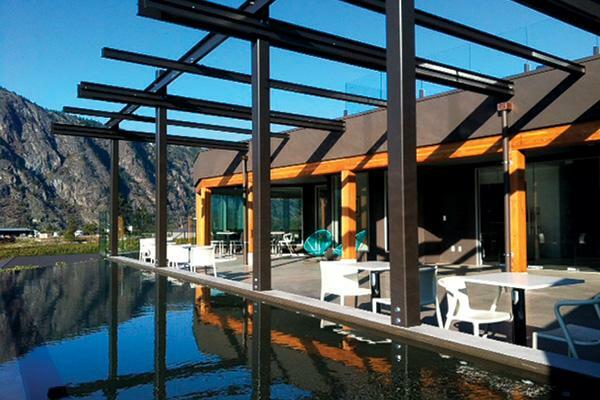 Tinhorn Creek’s award-laden Miradoro Restaurant boasts a mountain backdrop, a wraparound deck and vistas to dine for. At the helm is executive chef Jeff Van Geest, who shoots for Mediterranean-influenced local creations (try the beets and faro risotto crowned with damson plum or crispy pizza bascaiola with fennel sausage).